In honor of Mother's Day I posted about how I've changed (and not changed) since Teacup Human was born. As she's only a year and a half, I'm sure many changes are still coming but these are the ones I've noticed most. (This post also taught me that you can find a Parks & Recreation GIF for just about anything.) After reading, be sure to share how things have changed and not changed for you since becoming a parent. I also started an Instagram account - be gentle. I'm new at this. I reviewed Allison Pataki's memoir, Beauty in the Broken Places, about the stroke her husband had while she was five months pregnant. This memoir details how their love and support of their families and friends helped them pull through one of the hardest times in their lives. Sherrilyn Kenyon dropped by to share an excerpt from her new novel Death Doesn't Bargain - there's also still time to enter the giveaway! I also spoke with Christy Sloat about her new novel The Archivist and there's a chance to win a signed copy of her novel. Getting ready for summer! It's our first summer in the new house so I'm enjoying learning what plants and flowers we have in our yard. I've played a lot of rounds of "Is this a plant or a weed" with my mom. One way or another, I'll have a semi-green thumb. When I saw the above opening for Brooklyn Nine-Nine I decided that we needed to watch the show. I'd caught an episode on a plane once, which I found highly amusing, but never got around to actually committing. A few weeks ago when this clip started making its rounds I knew it was time. And then Fox cancelled it. And then NBC saved it. I would like to catch-up so come fall we'll be able to watch it live, but with a toddler and other obligations we'll have to wait and see. I am a historical fiction nut - especially if it involves the Tudors. I've already read Katherine of Aragón, The True Queen and Anne Boleyn, A King's Obsession by Alison Weir - I just noticed Anne of Cleve now has a book title: Anna of Kleve, The Princess in the Portrait! Alison has written numerous biographies on the Tudors, and other historical royals, so she's well versed in these individuals. Each woman gets her own novel told in her own voice. While this does make them the heroine of their own story (for instance Anne Boleyn is the evil homeworker in Katherine's story, but in Anne's story Anne is a victim of her circumstances). These novels add a new level of depth to these woman and I can't wait to read them all! Ever since she was a child, Jane has longed for a cloistered life as a nun. 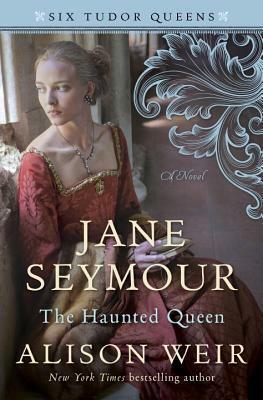 But her large noble family has other plans, and, as an adult, Jane is invited to the King’s court to serve as lady-in-waiting for Queen Katherine of Aragon. The devout Katherine shows kindness to all her ladies, almost like a second mother, which makes rumors of Henry’s lustful pursuit of Anne Boleyn—who is also lady-in-waiting to the queen—all the more shocking. For Jane, the betrayal triggers memories of a painful incident that shaped her beliefs about marriage. But once Henry disavows Katherine and secures his new queen—altering the religious landscape of England—he turns his eye to another: Jane herself. Urged to return the King’s affection and earn favor for her family, Jane is drawn into a dangerous political game that pits her conscience against her desires. Can Jane be the one to give the King his long-sought-after son or will she meet a fate similar to the women who came before her? 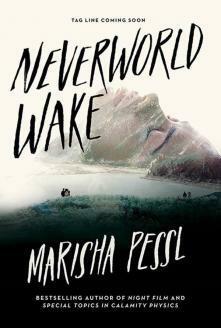 I received Neverworld Wake by Marisha Pessl from a coworker who is highly in-tune with my reading interests. Currently I'm only about 100 pages in, but wow! This book is creepy! I haven't read Marisha's other books, but if Neverworld Wake keeps up this momentum, I'm definitely going to have to add her books to my pile! Be sure to check out my review on June 5 part of Neverworld Wake's blog tour, hosted by Rockstar Book Tours. Remember when I kinda-sorta picked out paint colors? Well the time has come! Paint colors have been chosen and we have the painting scheduled for the end of June and it should, hopefully, be done early July! I love painting so there's a part of me that's slightly bummed I won't be doing the painting, but there's also wallpaper removal involved and time is always an issue. It was a lot easier to paint our old house when I wasn't raising a toddler. I did make Joe promise that when it comes time to redo Teacup Human's room that I could paint that. Her room is still the browns/tans the previous owners had painted it and we want to wait until she's old enough to tell us what she wants her room to look like - or at least have obvious likes and dislikes. Teacup Human is having her first swimming lessons! Our local rec center has swim lessons starting at six months, but she'll be in the 15-36 month group. She loves her baths and splashing in her small wading pool, and enjoyed floating around in my dad's pool last summer, so I'm excited to see how these lessons go. Two of my best girlfriends are pregnant and they're both having baby showers in June - luckily different days! Send me your recommendations! What are you doing, watching, reading, and anticipating?